The Gunvault SV500 SpeedVault Handgun Safe gets the job done whether you are looking for extra protection for your business or family. 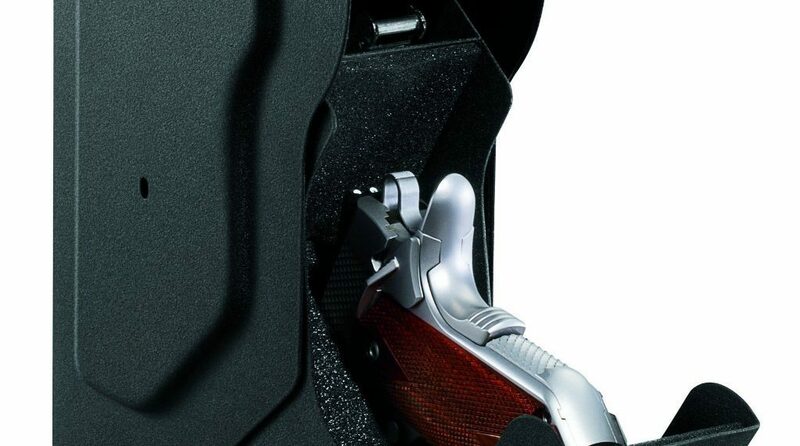 While gun safes come in many forms, none of them actually gets your handgun as action-ready as the SpeedVault. Gun owners from different walks of life continue to benefit from the advanced security and safety available with this safe. Why do you think it remains the number one best selling handgun safe on Amazon and other online retail websites? The Gunvault SpeedVault SV500 comes in an innovative fast-activation drop down drawer design that gives you extra quick access within seconds to help you take charge of emergency situations. It is manufactured from durable 18-gauge steel that gives utmost security to contents such as pistols, passports, jewelry, and cash. The GunVault SV500 SpeedVault is virtually impenetrable, giving gun owners the peace of mind they deserve. The compact and innovative design gives you a wide range of mounting options no matter how small the space in your home or office may be. If you have experience with gun safes in the past then it doesn’t take you long to appreciate the fact that this is certainly one of the easiest models to mount. Using the “L” bracket and other mounting hardware, you get three possible positions to mount the GunVault SV500 SpeedVault. 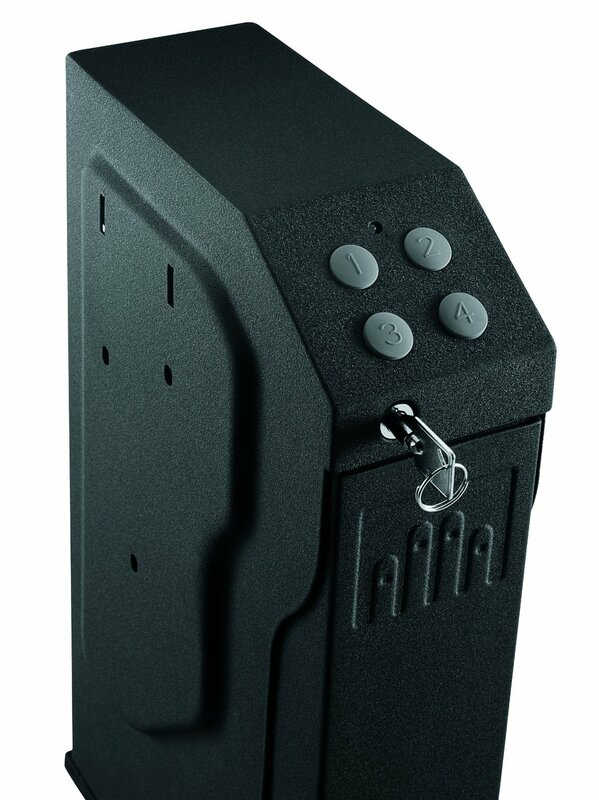 The safe can be mounted on wood, wall stud, or any other area in your home or office. Once you install the “L” bracket, it flawlessly gets attached to the safe which further conceals the mounting hardware to provide an additional layer of security. This gun safe features ultra bright internal floodlight to help improve visibility when adding or removing contents from your safe, especially during the night. This isn’t just a thoughtful feature from the manufacturer but can also be lifesaving in certain situations. The GunVault SV500 SpeedVault is available in two main models so you can choose one type or the other depending on the type of locking mechanism you want. The Biometric Lock model is for gun owners who prefer using their fingerprints to access their guns. It operates by placing a pre-registered finger on the keypad integrated with a biometric reader which scans, reconciles it with its memory, and opens the safe upon successful verification. The built-in memory gives owners the flexibility to register and store up to an incredible 120 individual fingerprints. Apart from registering all your 10 fingers into memory, it gives owners the freedom to grant access to their partners and a wide number of other trusted third parties. The Combination Lock Model GunVault SV500 on the other hand allows owners to program a multiple digit combination lock which will be required every time they want to open the safe and its contents. You can rest easy with the fact that unless you reveal your combination pattern to a third-party, kids and unauthorized persons will find it almost impossible to open the safe. Regardless of which model you end up choosing, this gun safe also comes with a backup override key which allows you to gain access to your GunVault SV500 SpeedVault during emergency situations. GunVault is extremely confident of the superior engineering and finesse integrated into the SV500 SpeedVault. The company backs it up with a 5-year exclusive warranty for burglary and fires. The Gunvault SV500 SpeedVault gives you quick access to your handgun and its contents at home or in the office. 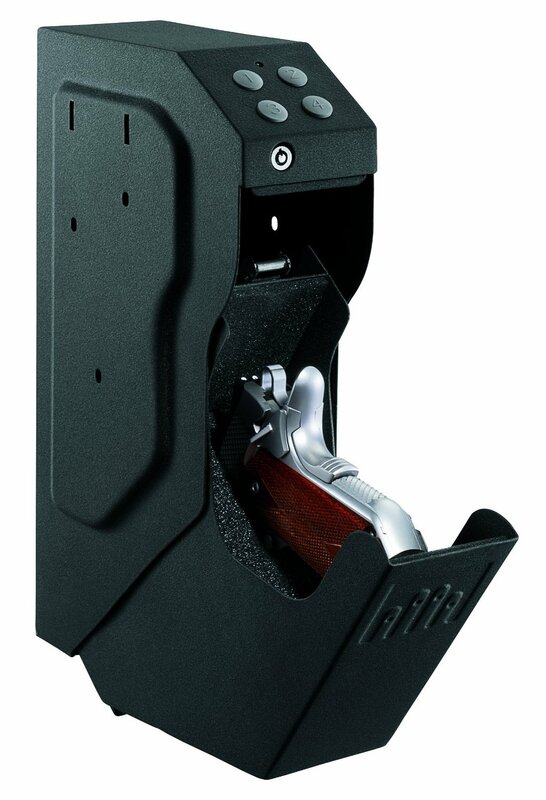 It comes in a revolutionary design which enables you to mount your gun safe anywhere you want. It is perfect for storing valuable pistols as well as other items of value such as documents, family heirlooms, and passports. 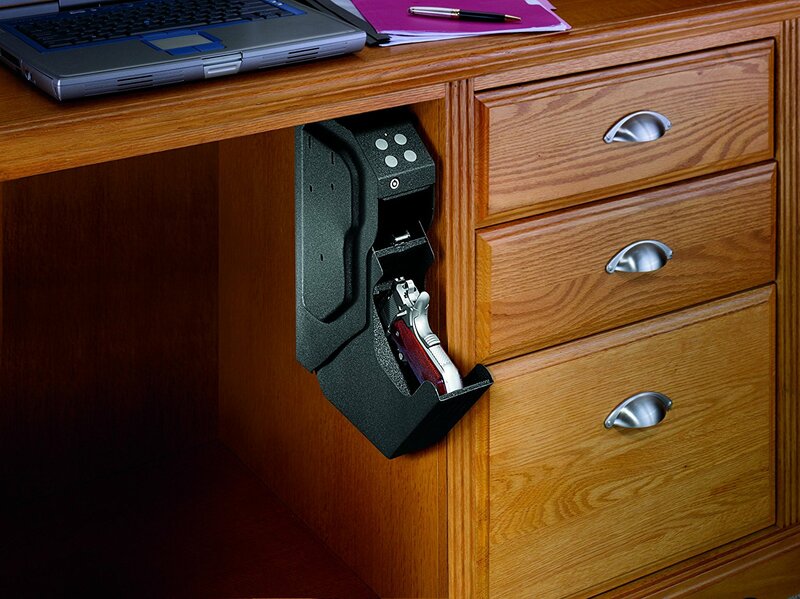 It is no accident that it remains the most popular handgun safe online today. Find more Gunvault SV500 SpeedVault information and reviews here.